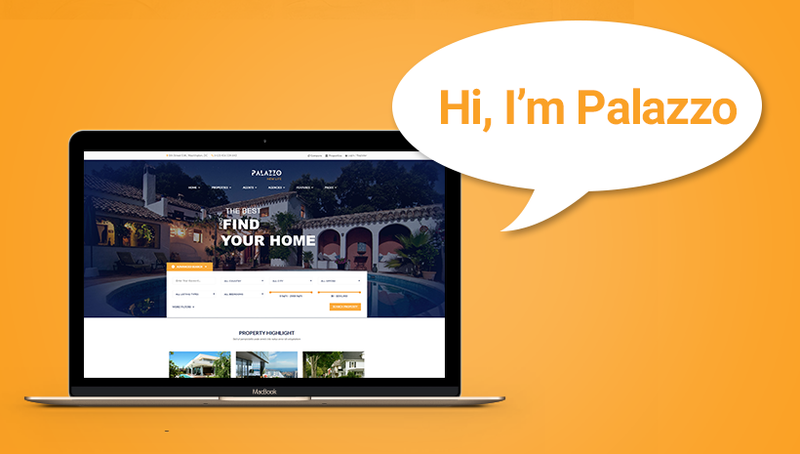 NooTheme is so much eager to say the name “Palazzo” – Functional Real Estate WordPress theme that is our effort for a new and a great user experience in building up a real estate site. We take care all needs that real estate agents, agencies, and companies wish them being available in. Also, with easy-to-use front-end and powerful backend features the theme will engage to more users. HOT WELCOME OFFER!!! $29 ONLY ON PALAZZO – FUNCTIONAL REAL ESTATE THEME. That’s an amazing price NooTheme has ever offered. And it must be much cooler if you visit the list of Palazzo’s core features. Palazzo goes beyond basic real estate theme with these core features below! You will find any information you need to evaluate the property, from details to virtual reality seen, or even get property statistics. Users conveniently manage all agencies who join the page with Palazzo thanks to offering smart agency pages. The theme offers the informative agent list & grid as well as agent detail page that allow users freely arrange and easily manage. Now you can access the favorite property in the easiest and quickest way. Advanced search allows you select more information to find out the best result. You will get great experiences with new features on the Front-end that are exactly comfortable. Such a good example! User profile allows you a convenient way to visit again what you save and care. Palazzo deserves users pre-designed header and footer types. Hence, you can choose the favorite style for headers and footers more. You can build your site much easier with powerful page builder Visual Composer ($34) and Slider Revolution ($25). Further, New plugin – Realty Portal that is specially created for real estate site make the theme stand out the rest. Now if you get a plan for a professional real estate site, Palazzo is a good destination to get started. We do not mention the intro price only, we mean that the theme is worth to take a risk. Trust us! When you ignore the theme, you drop the chance for a successful real estate business. Though you are not in this aim, Palazzo is also an awesome theme to explore.